Your news and social media timelines might be flooded with images of the vigorous volcanic eruptions in Hawaii. These jaw-dropping scenes with fountains and rivers of lava are absolutely amazing. Those scenes along with potential misunderstanding have led to some people canceling Hawaii vacations. Per this Pacific Business News article, Hawaiian Airlines reports a decline in sales. The executive director of the Island of Hawaii Visitors Bureau estimates anywhere from 20 to 50 percent less hotel bookings compared to last year. Personally, we wouldn’t hesitate to go to any of the Hawaiian Islands as it is quite safe to visit. So, let’s try to clear up confusion. Travel is safe to the Hawaiian Islands. 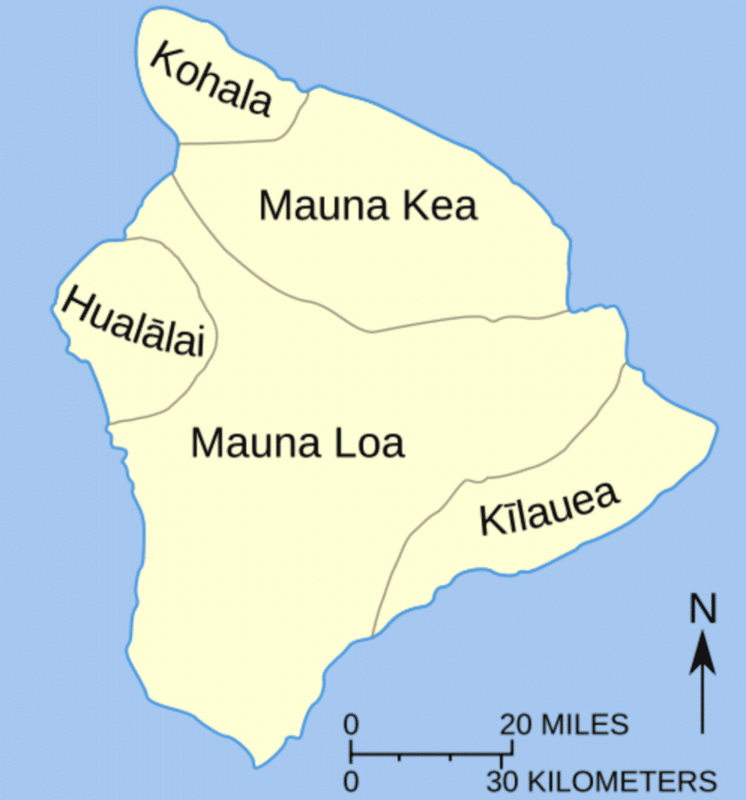 There are no eruptions on the islands of Kauai, Oahu, Maui, Molokai and Lanai. The current, news-making eruptions are isolated to a residential area on the eastern tip of Hawaii (Big) Island. 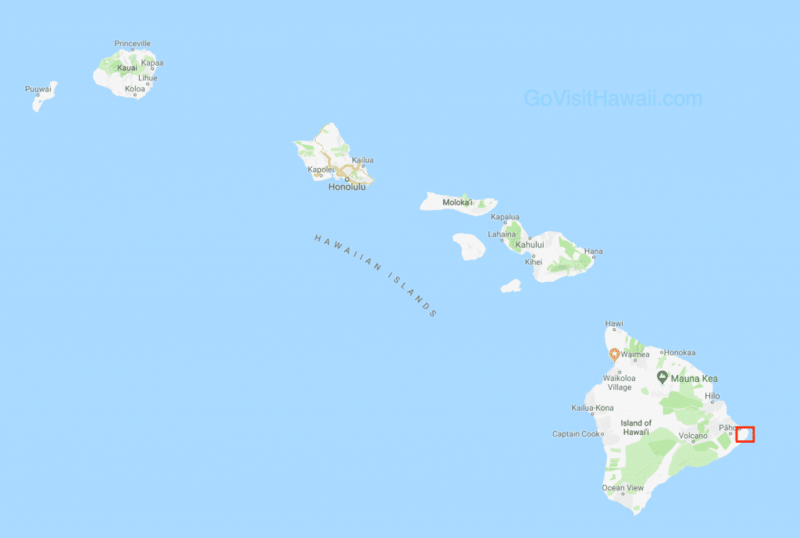 We created the following image of the state of Hawaii to indicate (with the red box) the relatively small area where the lava eruption is taking place. The lava eruption area is not where tourists frequently visit, though sadly, many people have lost their homes. More about Kilauea Volcano and the current eruption area. Kilauea is one of five volcanoes that make up the Big Island of Hawaii. Kilauea is the most active volcano in Hawaii. It has been actively erupting since 1983. The lava activity moves from site to site. 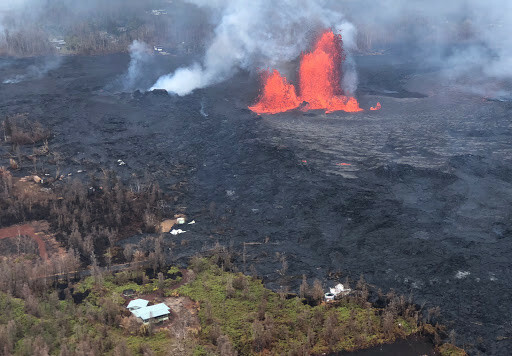 Most recently, the lava dramatically shifted from the summit area at Hawaii Volcanoes National Park to the lower East Rift Zone, which is in lower Puna. 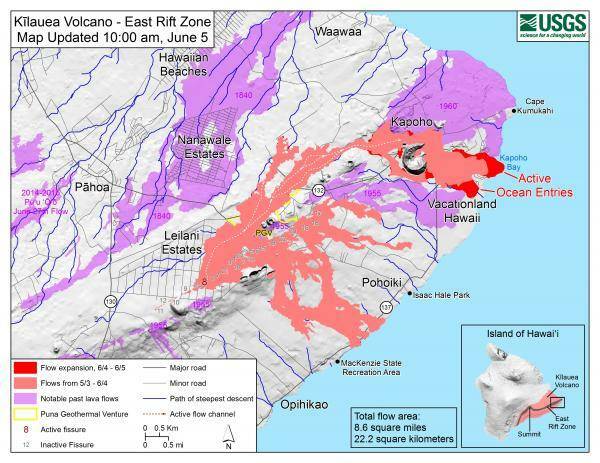 The following map shows the lower East Rift Zone with lava activity indicated. The current eruption is many miles away from the Big Island beach resorts. Note that our example directions go across Saddle Road, Highway 200, which reaches an elevation of 6,632 feet. In addition to the mileage, that’s also a lot of vertical protection from the eruption. Waikoloa Beach Resort, Mauna Lani Beach Resort, Hapuna Beach Resort, Mauna Kea Beach Resort, and Kona town are all mostly unaffected by the eruption. 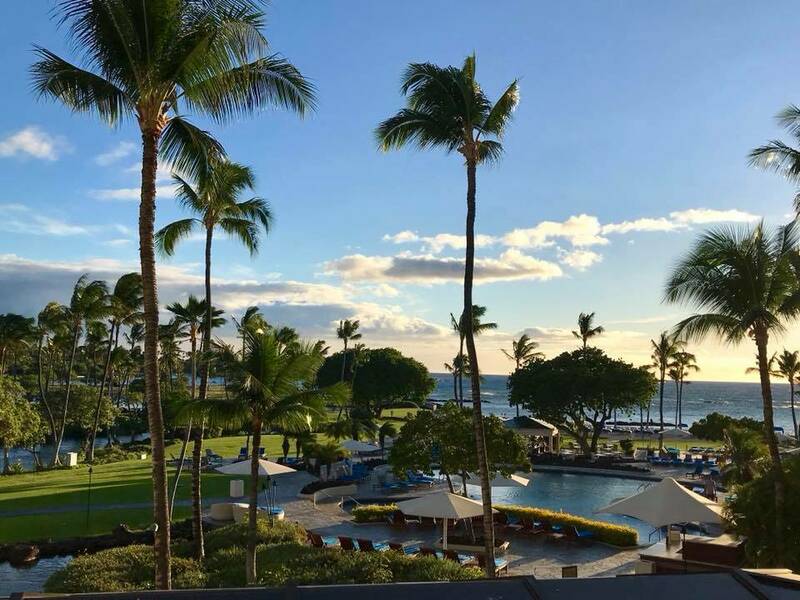 In fact, Mauna Lani Bay Hotel posted the following clear, calm photo on Facebook on Wednesday. Air quality is worth noting. To put the air quality issues in perspective, urban areas of southern California, are often in a moderate air quality risk per this monitoring site. Hawaii Volcanoes National Park closed indefinitely. While Kilauea’s lower East Rift Zone, i.e. Puna, has been vigorously erupting, the summit area has had its fair share of excitement, but not so much with lava. 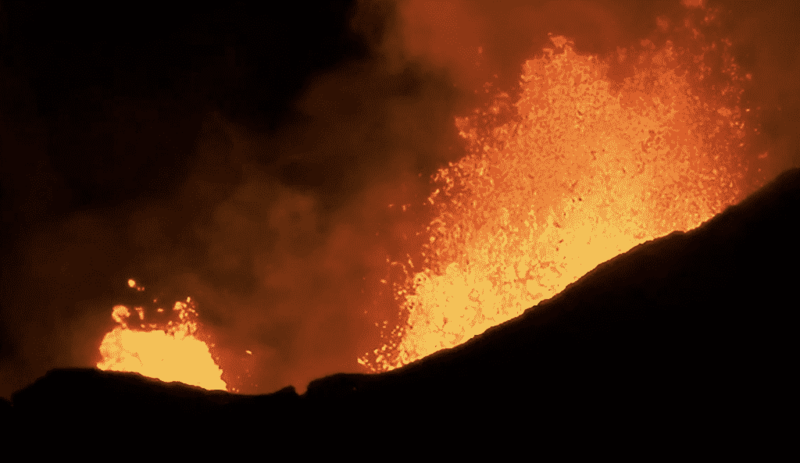 Earthquakes and drained lava lakes are making the news at the summit. Pu’u O’o Crater had been Kilauea’s center for lava activity for many, many years, but the lava lake beneath Pu’u O’o drained out weeks ago. The lava lake at Halema’uma’u Crater, which had been active for a decade, has drained. The crater continues to vent volcanic ash from subterranean activity. Hawaii Volcanoes National Park visitor center and many of the park’s attractions are located in the summit area. Officials released an update and photos showing some of the damage from numerous earthquakes. Can you see the lava activity? As previously mentioned the eruptions have popped up in residential areas. Officials are only allowing residents access into the area. Loiters have been cited per this Hawaii DLNR update. We don’t know of any land tours that are specifically designed for lava viewing at the new eruption sites. Hawaii Forest & Trail has reported distant views from their Mauna Kea summit tour. Other lava viewing opportunities may develop in coming weeks. Hawaii County Civil Defense messages. List of organizations collecting donations for people displaced by the eruption. The post What you need to know about the new volcanic eruptions in Hawaii appeared first on Go Visit Hawaii.